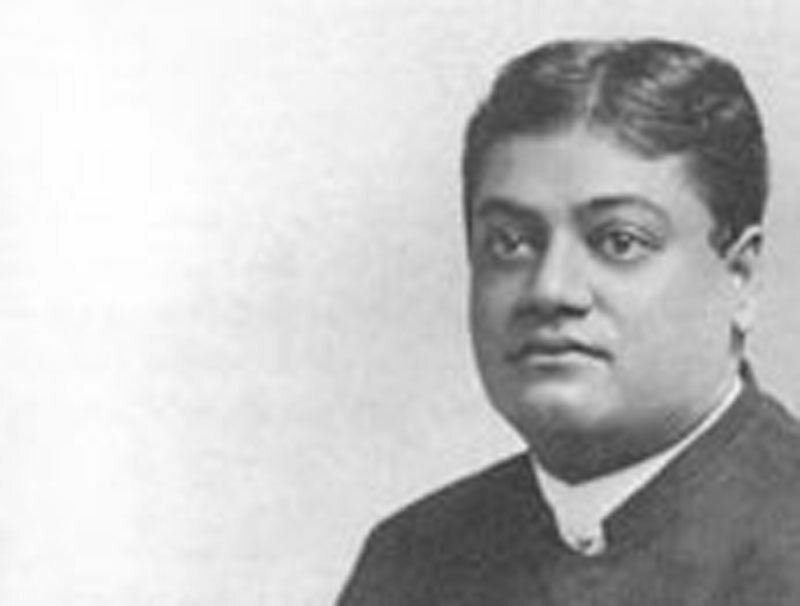 Lectures of Swami Vivekananda - Frank Parlato Jr.
Is India a benighted country? Is Vedanta the future religion? First of all, I must express my pleasure at the opportunity afforded me of coming to Eastern Bengal to acquire an intimate knowledge of this part of the country, which I hitherto lacked in spite of my wanderings through many civilised countries of the West, as well as my gratification at the sight of majestic rivers, wide fertile plains, and picturesque villages in this, my own country of Bengal, which I had not the good fortune of seeing for myself before. I did not know that there was everywhere in my country of Bengal — on land and water — so much beauty and charm. But this much has been my gain that after seeing the various countries of the world I can now much more appreciate the beauties of my own land. In the same way also, in search of religion, I had travelled among various sects — sects which had taken up the ideals of foreign nations as their own, and I had begged at the door of others, not knowing then that in the religion of my country, in our national religion, there was so much beauty and grandeur. It is now many years since I found Hinduism to be the most perfectly satisfying religion in the world. Hence I feel sad at heart when I see existing among my own countrymen, professing a peerless faith, such a widespread indifference to our religion — though I am very well aware of the unfavourable materialistic conditions in which they pass their lives — owing to the diffusion of European modes of thought in this, our great motherland. There are among us at the present day certain reformers who want to reform our religion or rather turn it topsyturvy with a view to the regeneration of the Hindu nation. There are, no doubt, some thoughtful people among them, but there are also many who follow others blindly and act most foolishly, not knowing what they are about. This class of reformers are very enthusiastic in introducing foreign ideas into our religion. They have taken hold of the word "idolatry", and aver that Hinduism is not true, because it is idolatrous. They never seek to find out what this so-called "idolatry" is, whether it is good or bad; only taking their cue from others, they are bold enough to shout down Hinduism as untrue. There is another class of men among us who are intent upon giving some slippery scientific explanations for any and every Hindu custom, rite, etc., and who are always talking of electricity, magnetism, air vibration, and all that sort of thing. Who knows but they will perhaps some day define God Himself as nothing but a mass of electric vibrations! However, Mother bless them all! She it is who is having Her work done in various ways through multifarious natures and tendencies. In contradistinction to these, there is that ancient class who say, "I do not know, I do not care to know or understand all these your hair-splitting ratiocinations; I want God, I want the Atman, I want to go to that Beyond, where there is no universe, where there is no pleasure or pain, where dwells the Bliss Supreme"; who say, "I believe in salvation by bathing in the holy Gangâ with faith"; who say, "whomsoever you may worship with singleness of faith and devotion as the one God of the universe, in whatsoever form as Shiva, Râma, Vishnu, etc., you will get Moksha"; to that sturdy ancient class I am proud to belong. Then there is a sect who advise us to follow God and the world together. They are not sincere, they do not express what they feel in their hearts. What is the teaching of the Great Ones? — "Where there is Rama, there is no Kama; where there is Kama, there Rama is not. Night and day can never exist together." The voice of the ancient sages proclaim to us, "If you desire to attain God, you will have to renounce Kâma-Kânchana (lust and possession). The Samsâra is unreal, hollow, void of substance. Unless you give it up, you can never reach God, try however you may. If you cannot do that, own that you are weak, but by no means lower the Ideal. Do not cover the corrupting corpse with leaves of gold!" So according to them, if you want to gain spirituality, to attain God, the first thing that you have to do is to give up this playing "hide-and-seek with your ideas", this dishonesty, this "theft within the chamber of thought". — "Verily, these three are rare to obtain and come only through the grace of God — human birth, desire to obtain Moksha, and the company of the great-souled ones." The first thing needed is Manushyatva, human birth, because it only is favourable to the attainment of Mukti. The next is Mumukshutva. Though our means of realisation vary according to the difference in sects and individuals — though different individuals can lay claim to their special rights and means to gain knowledge, which vary according to their different stations in life — yet it can be said in general without fear of contradiction that without this Mumukshutâ, realisation of God is impossible. What is Mumukshutva? It is the strong desire for Moksha — earnest yearning to get out of the sphere of pain and pleasure — utter disgust for the world. When that intense burning desire to see God comes, then you should know that you are entitled to the realisation of the Supreme. Then another thing is necessary, and that is the coming in direct contact with the Mahâpurushas, and thus molding our lives in accordance with those of the great-souled ones who have reached the Goal. Even disgust for the world and a burning desire for God are not sufficient. Initiation by the Guru is necessary. Why? Because it is the bringing of yourself into connection with that great source of power which has been handed down through generations from one Guru to another, in uninterrupted succession. The devotee must seek and accept the Guru or spiritual preceptor as his counsellor, philosopher, friend, and guide. In short, the Guru is the sine qua non of progress in the path of spirituality. Whom then shall I accept as my Guru? — "He who is versed in the Vedas, without taint, unhurt by desire, he who is the best of the knowers of Brahman." Shrotriya — he who is not only learned in the Shâstras, but who knows their subtle secrets, who has realised their true import in his life. "Reading merely the various scriptures, they have become only parrots, and not Pandits. He indeed has become a Pandit who has gained Prema (Divine Love) by reading even one word of the Shâstras." Mere book-learned Pandits are of no avail. Nowadays, everyone wants to be a Guru; even a poor beggar wants to make a gift of a lakh of rupees! Then the Guru must be without a touch of taint, and he must be Akâmahata — unhurt by any desire — he should have no other motive except that of purely doing good to others, he should be an ocean of mercy-without-reason and not impart religious teaching with a view to gaining name or fame, or anything pertaining to selfish interest. And he must be the intense knower of Brahman, that is, one who has realised Brahman even as tangibly as an Âmalaka-fruit in the palm of the hand. Such is the Guru, says the Shruti. When spiritual union is established with such a Guru, then comes realisation of God — then god-vision becomes easy of attainment. After initiation there should be in the aspirant after Truth, Abhyâsa or earnest and repeated attempt at practical application of the Truth by prescribed means of constant meditation upon the Chosen Ideal. Even if you have a burning thirst for God, or have gained the Guru, unless you have along with it the Abhyasa, unless you practice what you have been taught, you cannot get realisation. When all these are firmly established in you, then you will reach the Goal. Therefore, I say unto you, as Hindus, as descendants of the glorious Âryans, do not forget the great ideal of our religion, that great ideal of the Hindus, which is, to go beyond this Samsara — not only to renounce the world, but to give up heaven too; ay, not only to give up evil, but to give up good too; and thus to go beyond all, beyond this phenomenal existence, and ultimately realise the Sat-Chit-Ânanda Brahman — the Absolute Existence-Knowledge-Bliss, which is Brahman.